Book Philippines Tours, Holidays, & Vacations in the Philippines with the Specialist Philippines Travel Company. 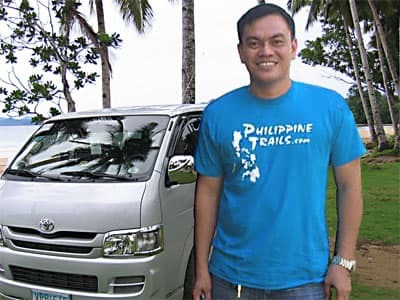 At Philippine Trails every tour or holiday is Customised and Tailor-Made for YOU. Working with our local staff and associates, we adjust and adapt Philippines tours to fit in with your precise travel dates, arrival, and departure times. "I will certainly be recommending your company to my friends in Australia. We had an awesome time"
You've heard about the Philippines' fantastic tropical islands, great beaches, Philippines luxury resorts, and the warm and friendly hospitality of Filipino people. Well our website will show you much more, and hopefully tempt you to come and explore the Philippines for yourself! Take a look at our great selection of Philippines Tour Itinerary suggestions. 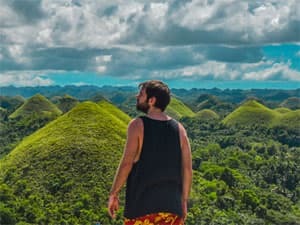 We have tour itineraries covering the most popular areas of the Philippines, such as Bohol, Ilocos, the Rice Terraces, Cebu, El Nido, and the ever popular Boracay, (to name just a few). Tours can start on any day and are flexible so we can make adjustments according to your arrival and departure dates, and include the regions you wish to visit. 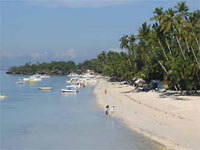 Our Philippines Tours are flexible and can usually be amended should you have any special requirements. Read more to view our Philippines Tour Itinerary Suggestions. Treat yourself to a special Philippines vacation at a Luxury Resort, where your entire holiday is planned from arrival to departure! We work closely with many of the best Philippines luxury resorts, many of which are on private islands. Our service is designed to include all internal flights and transfers, as well as pre and post holiday accommodation in either Manila or Cebu, depending on your arrival point, should that be necessary. You can relax knowing your Philippines holiday will be an experience you will always treasure. 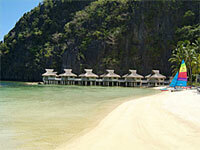 Take a look at our recommended Philippines Luxury Holidays. We can show you the Best Beaches in the Philippines. Select from our recommended Philippines beach destinations, and we'll organise your Philippines holiday from start to finish, including all internal transport arrangements. Our tailor-made itineraries include local tours and excursions too. From the moment you arrive into the Philippines, to your final departure, our staff and trusted associates will take care of all your Philippines vacation arrangements. Let us know your choice of Philippines destination and we'll do the rest. Looking for a Philippines Golf vacation? We can create a Philippines Golf Package to suit your requirements. We work with some of the best golf courses in the Philippines. 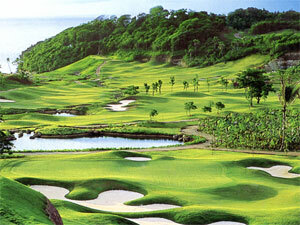 We arrange Philippines Golf Tours with minimal travelling, where you can play at a variety of courses. Our team will pick-you up on arrival, and deliver you back to the airport on your departure date. Golf and all transfers are included, as is accommodation, plus any excursions you'd like to include during your Philippines holiday. Contact us to arrange your next Philippines Golf Holiday. For the keen Birder - our Birdwatching Tours. Puerto Galera is for Sailing enthusiasts. Learn to Sail Page. We arrange Diving Holidays including Liveaboards. Detox, Health, & Wellbeing - Yoga Holidays. Much more to see on our Activities Page. 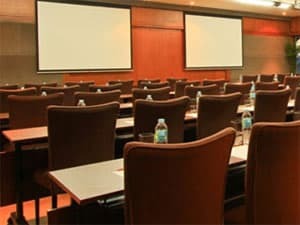 We have arranged various Conferences and Events in the Philippines, including an international University Symposium in Manila, as well as smaller Family Gatherings & Parties. No matter how many guests, we'll help you plan the perfect wedding and reception. Weddings (& Honeymoons) - in the Philippines. With a well-educated pool of English-speaking workers, more and more companies are Outsourcing Services to the Philippines. See how we have helped clients Retire to the Philippines. This means that you can book your Philippines Vacation or Philippines Tour secure in the knowledge that Travel Trust Association will protect you in the unlikely event of a member becoming insolvent.